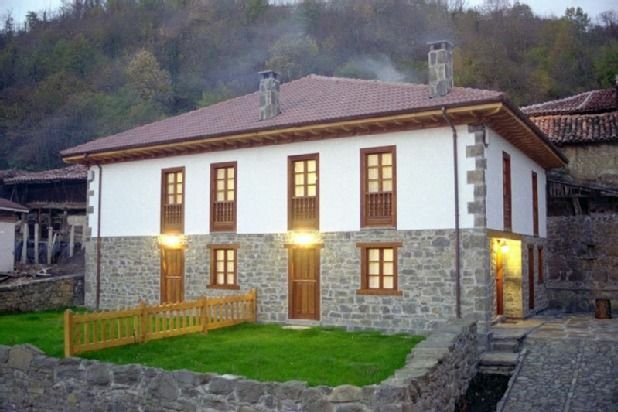 Casa Quinta I and II is a village house of rustic construction with a facade marked by the thick frames of solid wood in its stone walls and the doors with cuarterón. In its interior beams, pontoons, stage and wooden staircase and oak loading doors and windows culminate the traditional style. - Casa Quinta offers two independent homes: - Quinta I House and Quinta II House. - Both have two floors: - On the ground floor: Kitchen and living room with fireplace. - On the first floor: - Two double rooms, a double room and bathroom. - Each house has a portal and garden in front of the house with built-in barbecue. In the village there is a municipal swimming pool open in summer season and Telecentro throughout the year.